X033. 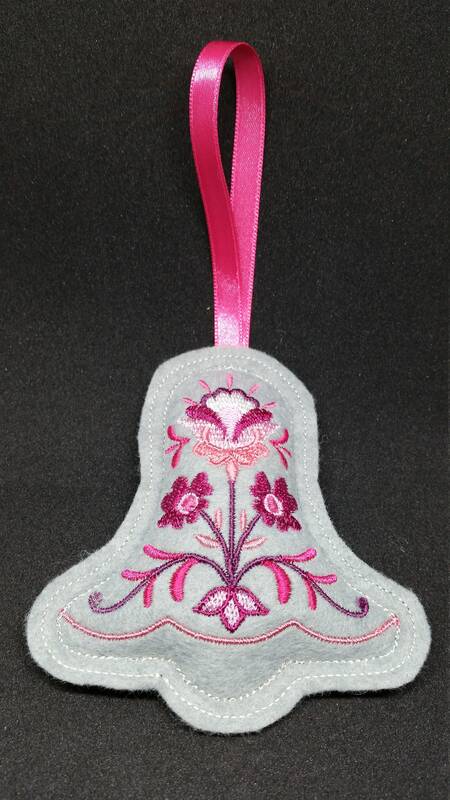 Grey Bell shape Christmas tree ornament. Can also be used as decoration or tag on presents and gifts. 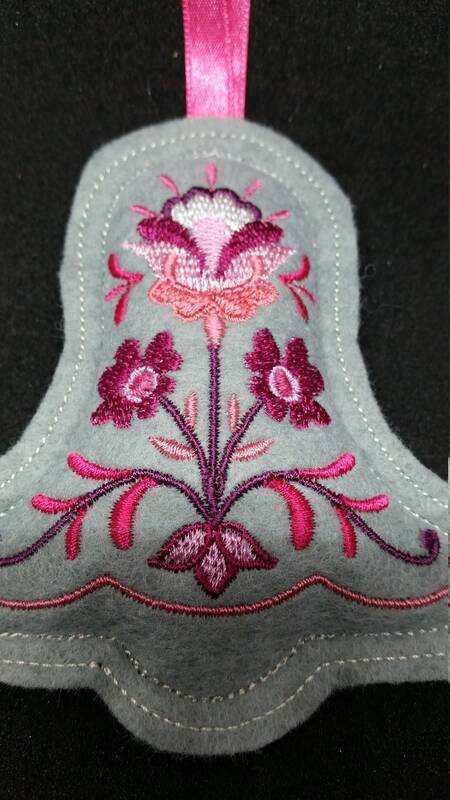 Machine embroidered design on felt with hypo allergenic fiberfill. The whole set is available under code X037.